A compression spring with oval or rectangular shaped coils placed inside of the magazine or charger of a firearm. A magazine spring's function is to push up the bullets or rounds to be placed into the chamber. 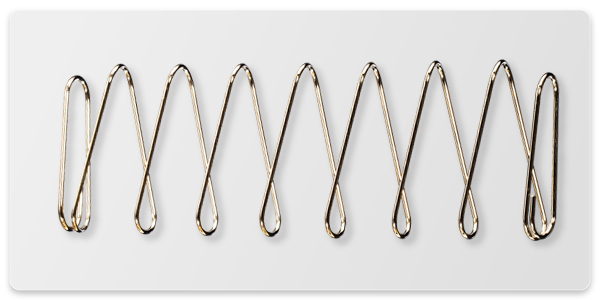 Magazine springs are typical for most guns but certain types of firearms require different lengths, forces, and amount of coils. Take a rifle and a hand gun for example. Certain rifles have longer magazines or chargers than a usual hand gun. This means that the magazine spring in the rifle will be longer than that of a hand gun and will probably have some other dimensional differences in design. Other differences may apply on different firearms depending on how the magazine spring will be positioned and how much rate and travel it will need. The reason that the design may change in your magazine spring for different firearms is because some firearms may require a certain amount of rate and travel in order to function correctly. Magazines also vary in size so, in order for this spring to be correctly installed, it must be the correct length and widths. See the below image for reference on how to measure your magazine spring. Your magazine spring's rate is a very critical piece of information on your design because most magazine springs must be compressed down to solid height. This means that if you aren't able to match the loads applied on the spring with the amount of travel for it to reach solid height, either it will be too strong for the load to push it down to the required loaded height or it will be too weak which means your load can exceed the max safe load and therefore, exceed the max safe travel. If you exceed the maximum safe load of your spring, it will be over stressed and probably take a set, which in effect, will cause your spring's free length to be reduced, therefore, not being able to push back up to it's original length so the last bullets or rounds won't be able to be placed into the chamber. Just like on a regular compression spring design, a magazine spring's force and rate may be significantly affected if the number of coils, wire diameter, length or outer diameters are altered. Please see the force chart below for reference. If your magazine spring design is too weak, you would have to eiter reduce the outer diameter, reduce the amount of coils, thicken the wire size, or make your spring longer without adjusting the amount of coils it already has. Reducing the outer diameter will also reduce your spring's index therefore, giving you more force. The same happens with increasing the wire diameter. As to decreasing the amount of coils, take a slinky and a key ring for example. A slinky has numerous coils and therefore, it is very weak, but a key ring, which has less than two coils, has a very strong force. Increasing your spring's length will get you more force because the rate remains the same but you increased the free length, thus giving you more travel . Therefore, since rate works by travel and not loaded height, it'll take your spring more force to reach the loaded height thus giving you more force. In case that your magazine spring design is too strong, you must either increase the outer diameter, increase the amount of coils, make the wire thinner, or reduce your magazine spring's length. Increasing your spring's outer diameter will increase your spring's index as well, therefore decreasing your spring's force and rate. The same will happen when making the wire diameter thinner. Increasing the total amount of coils of your spring will weaken the strength of your spring as stated above in the slinky and key ring example. Reducing your spring's length will give you less force because the rate of your spring doesn't change. Therefore, it will take your spring less load in order to reach your desired loaded height. 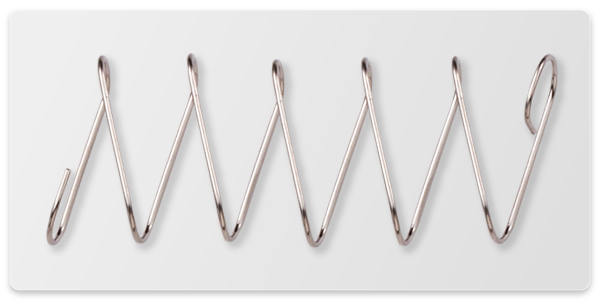 Some magazine springs even have a bend on the last coil so that it may be held by a pin. The reason for this is because, when your magazine spring is installed into your magazine, there is still a bit of space between the walls of your magazine and the actual magazine spring. This space may cause the spring to buckle a bit and, in the future, cause some damage to your magazine spring. 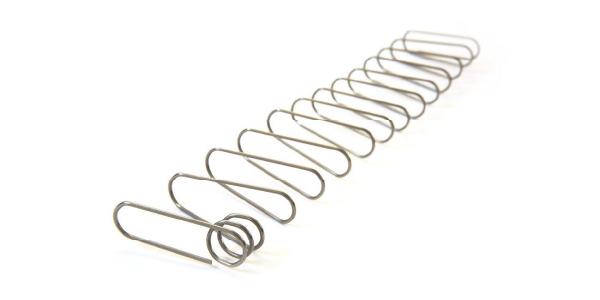 Acxess Spring provides gun manufacturers with quality magazine springs as well as many other gun springs such as recoil springs and trigger springs. Please take a look at our customer testimonials page to read what our customers have to say about our service and production quality. Our customers can't be wrong, allow us to impress you.